-(STRONG SECURE HOLD ON DEVICE)W.A.C. wireless charger comes with 4 magnets to ensure a good hold on your device and a stable connection for a fast charge. -(COOL EFFICIENT CHARGE) introduced a round of holes on the back side of the face to dissipate heat to ensure a cool efficient charge. 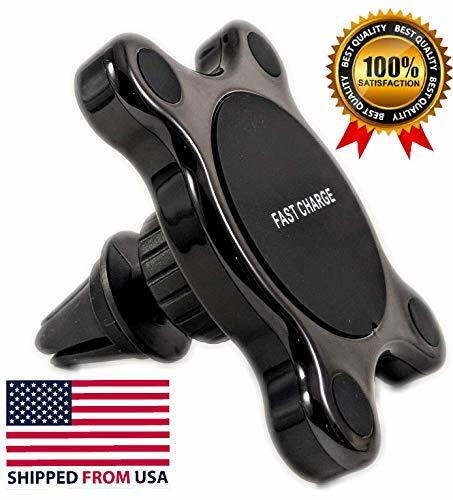 -(EASY TO MOUNT CHARGER) to mount the charger you simply stick it on your vent or stick the mounting cup on any flat dry surface. If you have any questions about this product by W.A.C, contact us by completing and submitting the form below. If you are looking for a specif part number, please include it with your message.